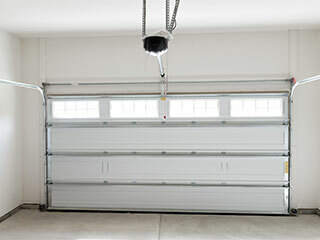 Openers are one of the most important parts of garage door systems. They eliminate the need to open and close doors manually and allow us to operate systems automatically. These openers heighten security standards and can afford you a little extra peace of mind. The technology advances every year, and newer models offer unique security features that can add safety as well as convenience to your daily routine. Our professional technicians can ensure your door opens smoothly every time. From time-to-time, you may encounter a problem with the electric operator that powers your electric door. If this is the case, don’t worry. By consulting an experienced company like ours, you can resolve the situation quickly, whether you have an issue with a motor or your force and travel limits have been set incorrectly. Perhaps you’re not happy with the level of noise being emitted by your system's operation? Whatever the case, we can help. If a repair is not possible, we also offer a door opener replacement service. No job is too big or small for us, and we can also suggest specific solutions to suit your needs, including screw drive solutions and quiet belt drive units. At Garage Door Repair Tempe we have the experience, the expertise and the resources needed to address all kinds of opener related issues. We utilize the finest spare parts in the market and can repair models from all the leading brands, including Craftsman and Genie. Our experts use precision tools to achieve the best possible result. We can carry out any necessary repairs quickly without compromising the quality of our work. If you’re experiencing any issues with your garage door opener, don’t hesitate to contact us. We also offer a comprehensive maintenance service that will keep your entire system at an optimal level of performance.